I saw him and had to have him. You just don't find treasures like this all the time, you know. You have to go to a lot of garage sales to find stuff this good. I tried to get him to sit down and jaw a bit (old western roosters don't visit, they jaw if you can get them talking), but he wasn't in the mood. I'm going to have to introduce him to Frooster. Maybe that would loosen him up a bit. Besides the fact that I bought another chicken at a garage sale (one that's wearing glittery cowboy boots), you know what's really funny? When I wrote the Frooster post, I added a label for "garage sale chickens". Seriously, in-the-past me? We were anticipating a string of garage sale chicken purchases? Sometimes I even worry myself. 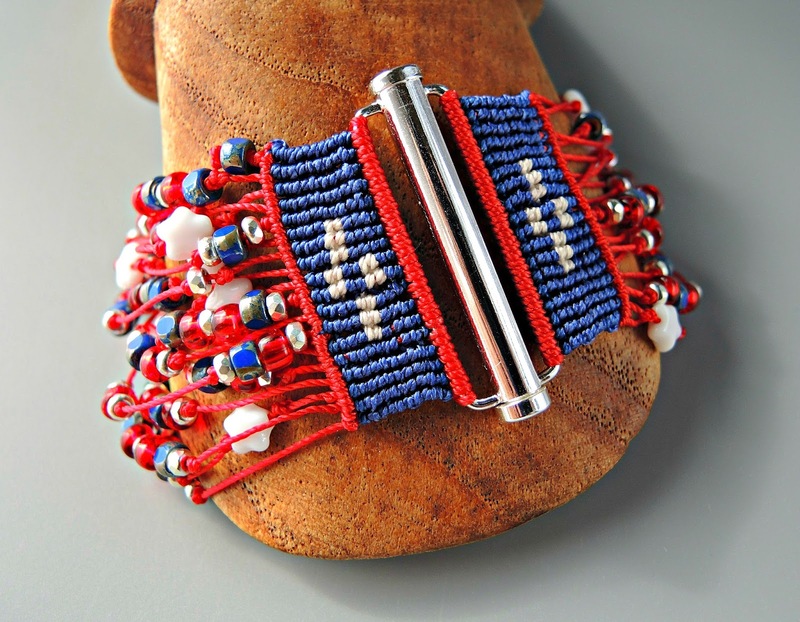 This is a pretty bracelet, if I do say so myself! I know, I know, the colors are so NOT me, but I'm feeling it. 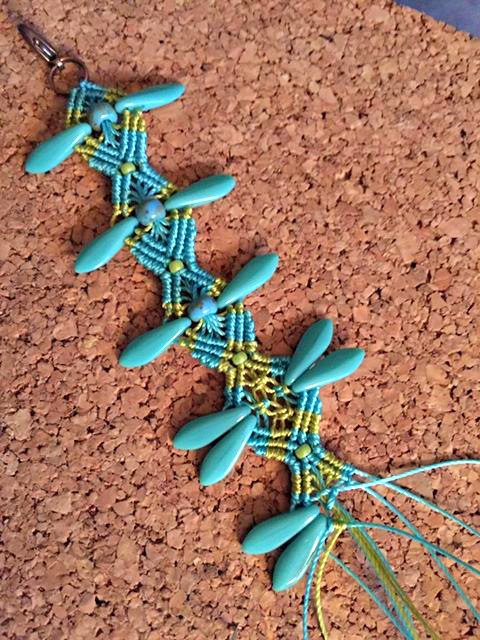 I love everything about this piece from the multiple strands to the shiny crystal beads I used (another oddity for me!). It's fun to wear and it's fun to make, so I thought I'd offer a tutorial for it in case any of you want to make one for yourself. If you haven't tried one of my tutorials before (or one of my online classes), I hope you'll give it a try. I spend a lot of time photographing every step and then I spend even more time editing all those photos to try to give you the best tutorial I can. I add lots of detail and break everything down so that you can see what I'm doing and follow along. 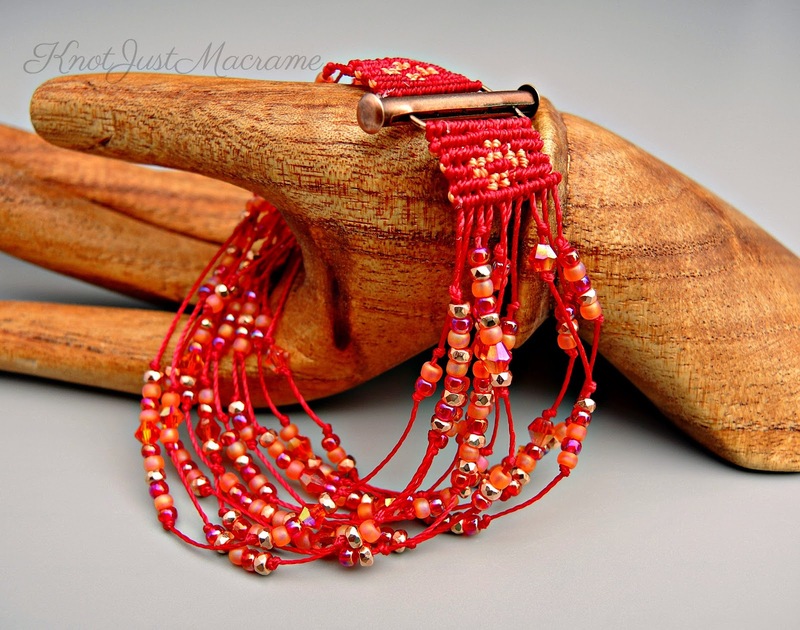 You can find the tutorial for the Marrakesh bracelet available in my Knot Just Macrame Etsy shop along with several other tutorials for different micro macrame projects. This new tutorial is suitable for all levels, even beginners. As a little extra incentive, I'm offering a special introductory price for the next week AND having a sale on all my other tutorials! Isn't this a gorgeous colorway? It feels so summery somehow and the copper in it seems to really set off the aqua blue and chartreuse green. The copper beads actually new Czech micro spacers and are copper plated glass with faceting which adds a lot of interest to them. I love this version of the tree of life button, too. Did you notice the little bird in the tree? 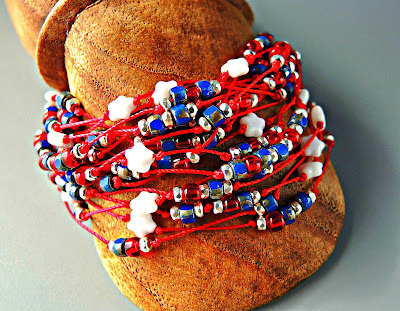 This multiple strand bracelet just screams summer to me. It's lots of fun to wear. 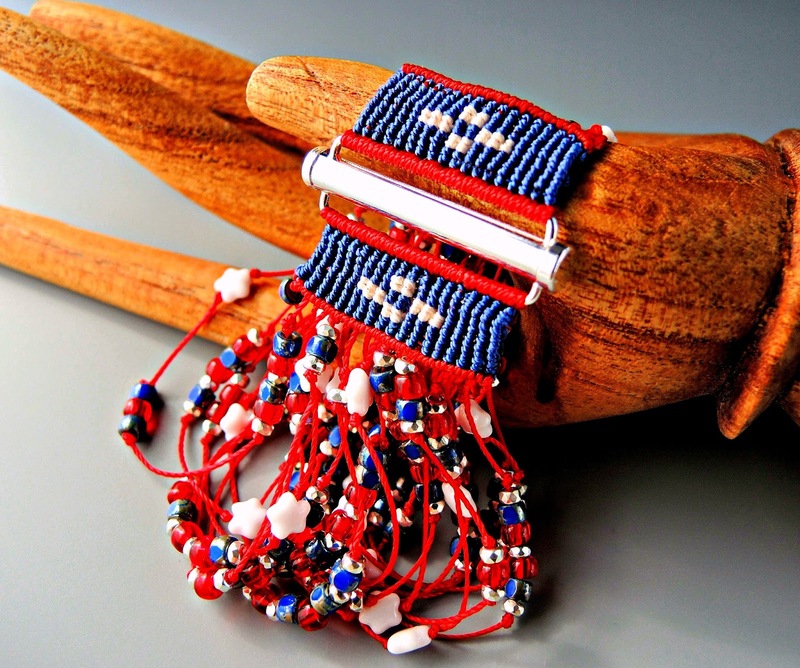 After making these two bracelets, I was feeling pretty cocky. I decided to try something with some two hole dagger beads Leslie from the Beadsmith had sent. It's kind of fun and different, anyway! 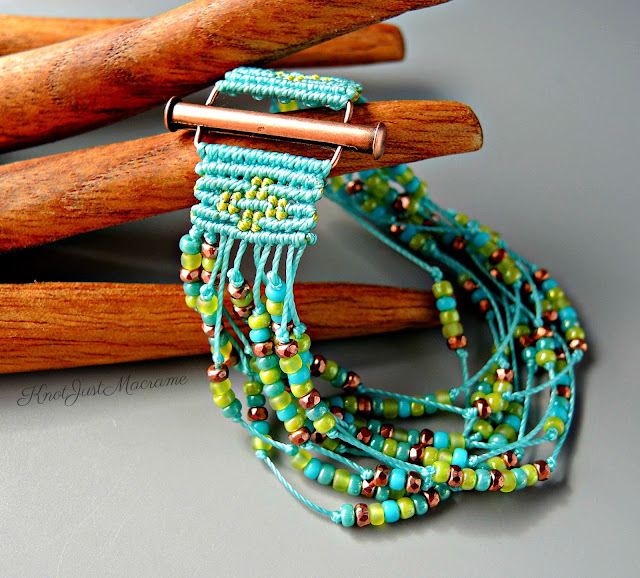 So there you have it: three very different micro macrame bracelets in the aqua and chartreuse colorway with some fun new beads thrown in for good measure. 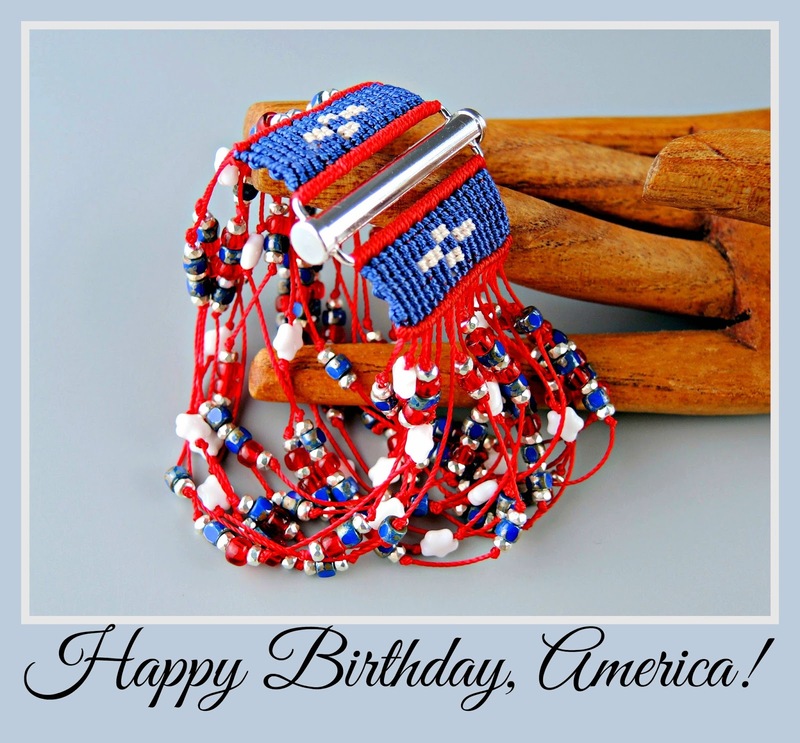 It's hard to believe it's the 4th of July already. Seems like summer just got here and now I have to start the countdown to the end of it. At the beginning of every summer I swear I'm going to slow down and enjoy it more and now that I'm retired, I'm able to do just that. Mark and I spend some time out relaxing by the pool most afternoons. 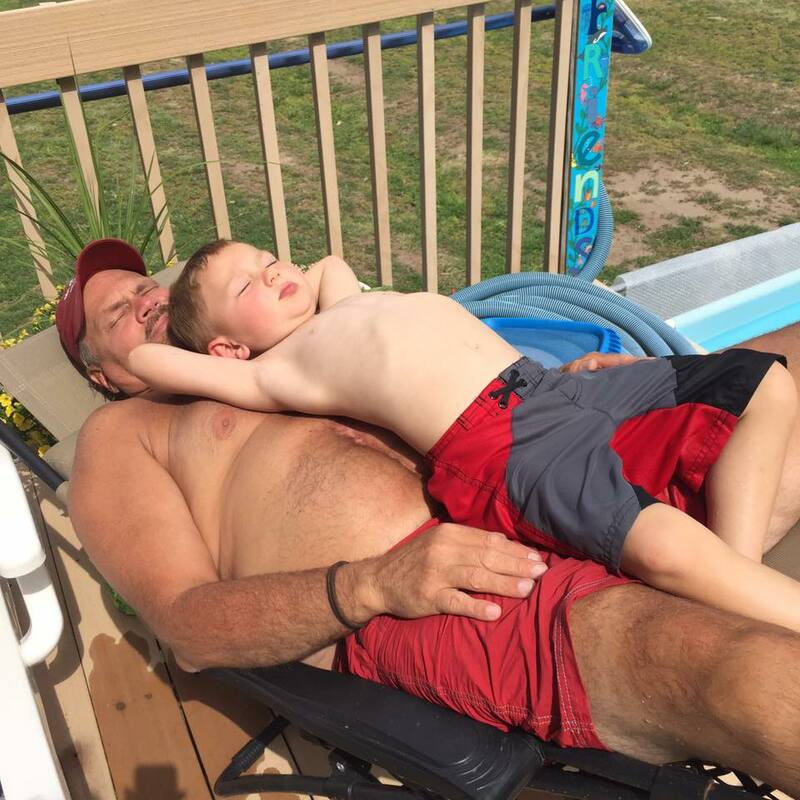 Carter (our grandson) was here this past weekend - doesn't he look like he has the relaxing thing perfected? Independence Day always seems like a good excuse to break out the red, white and blue. This year I made a multiple strand macrame bracelet with a tube bar clasp. 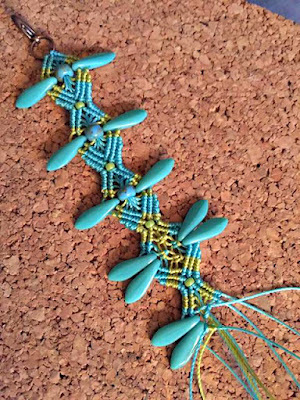 I did a little knotting on either side of the clasp which I think adds a little something extra, then I randomly added beads to the strands. I had some 3-cut Matubo beads in blue picasso and some fun little Czech glass stars. Silver micro spacers add some extra sparkle and fun. Have a fun and safe 4th!